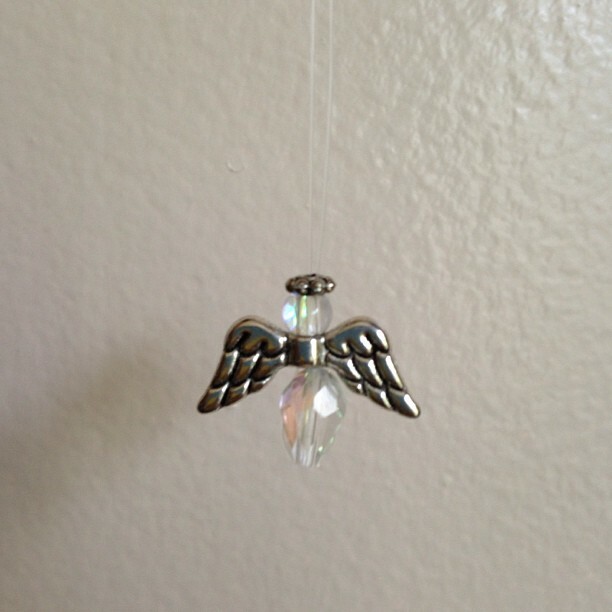 Click on pictures to enlarge photo. 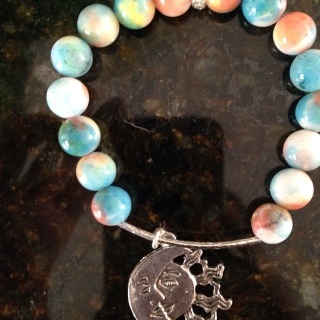 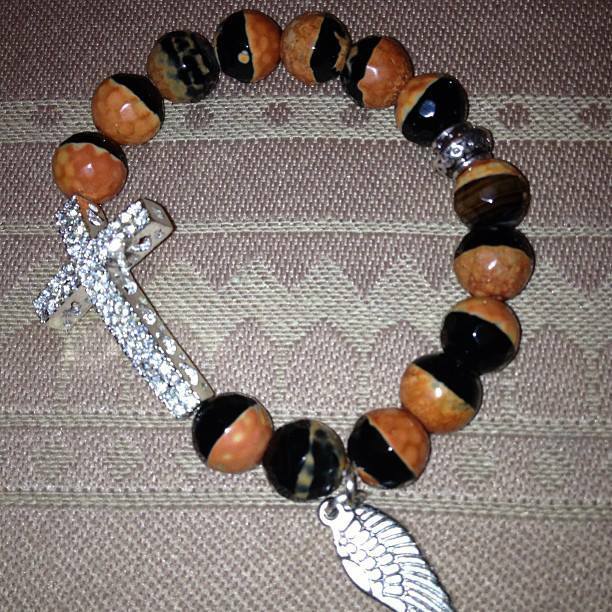 Custom hand made jewelry. Shipping and taxes are included in prices. 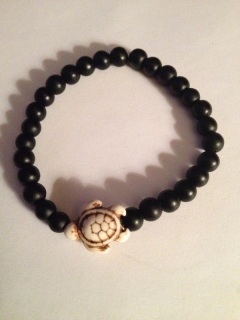 Ships within 7 - 10 business days. 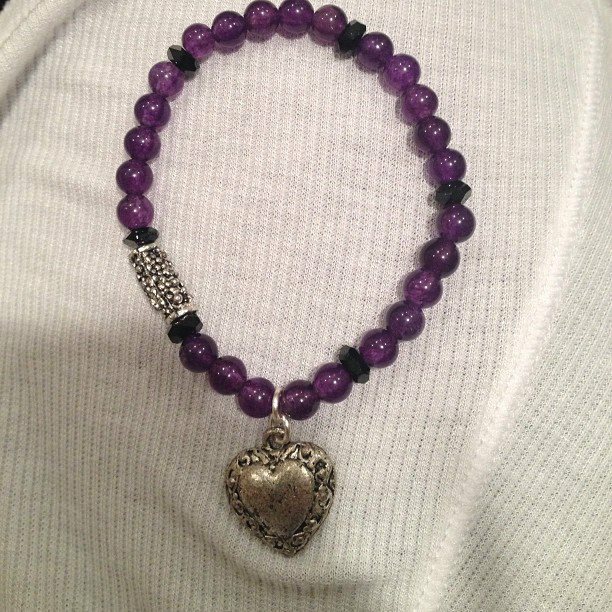 Handmade with silver heart & silver stone on side. 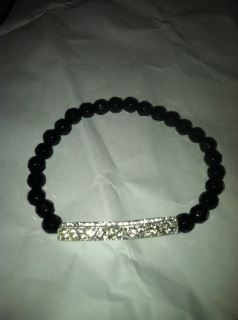 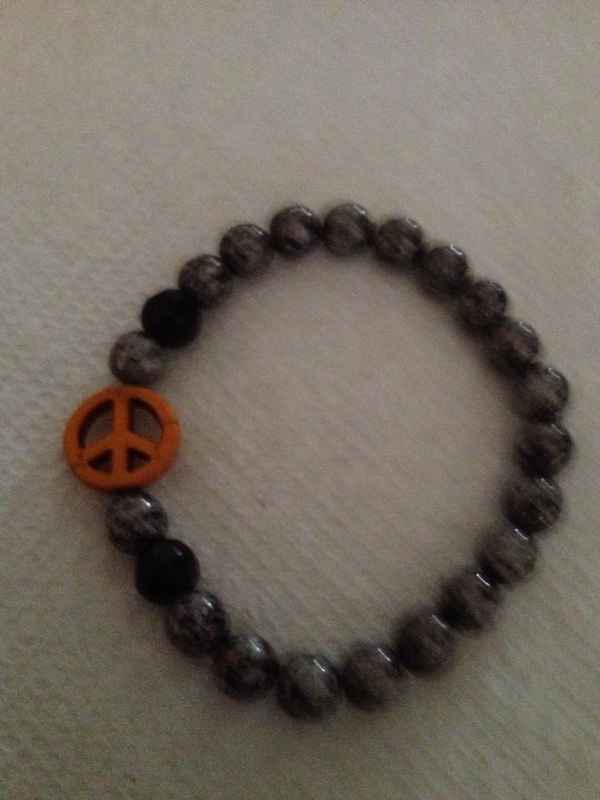 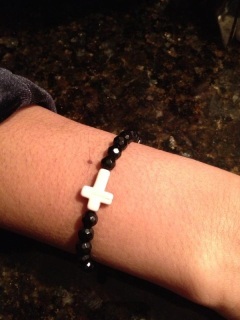 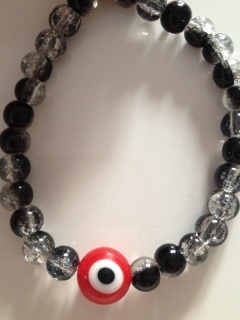 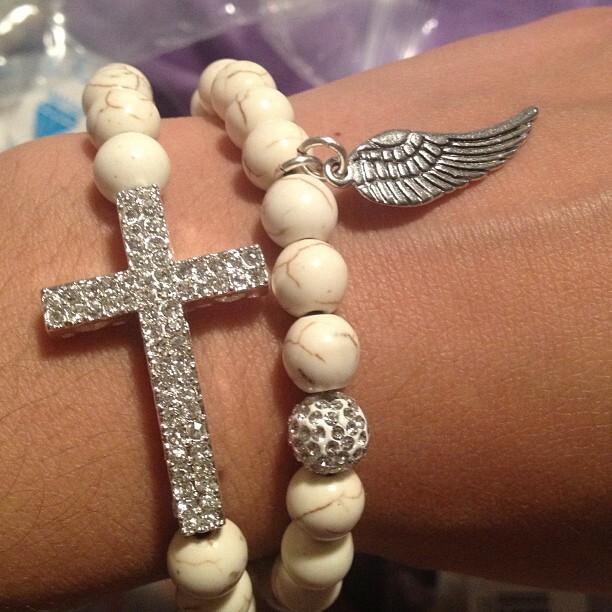 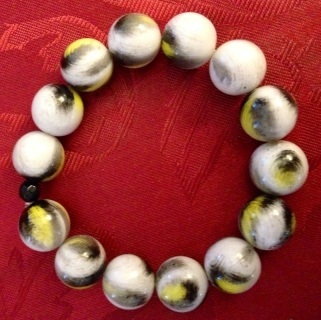 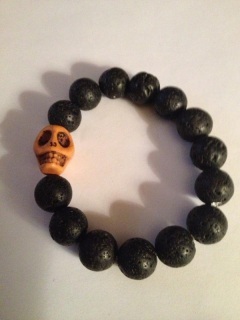 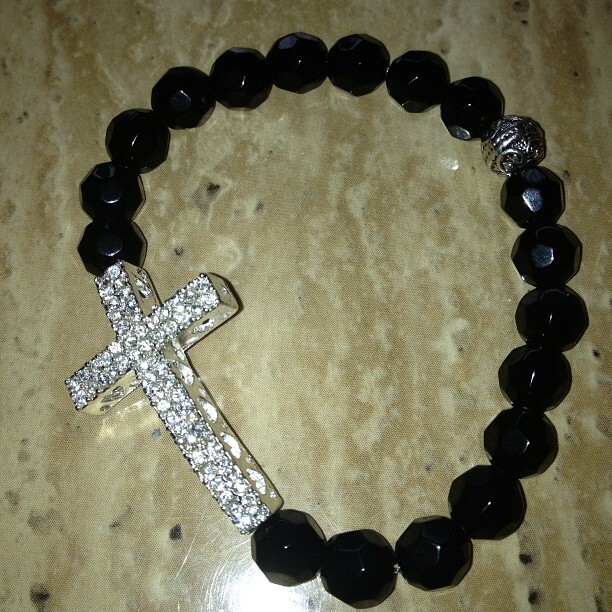 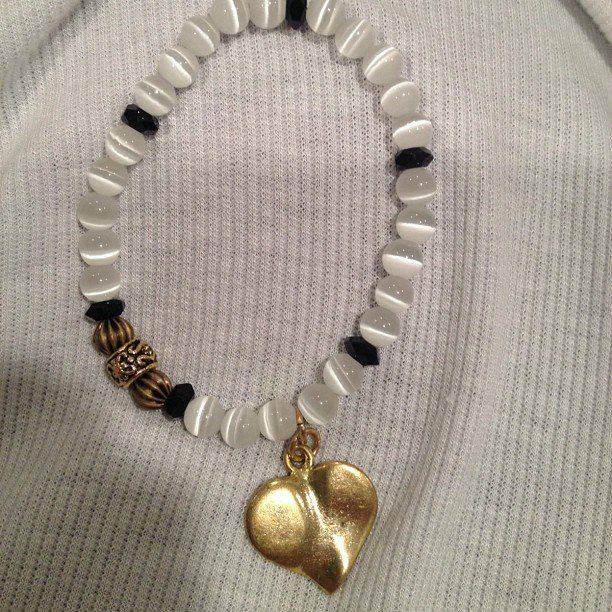 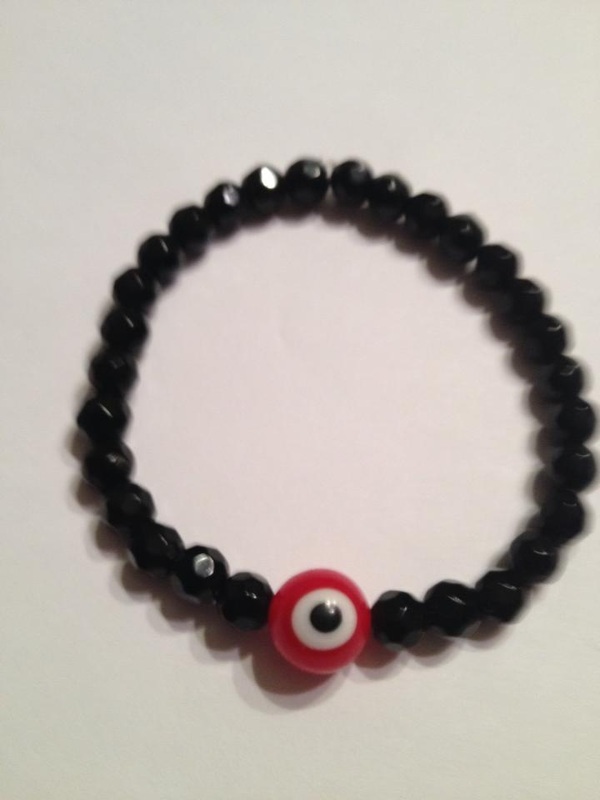 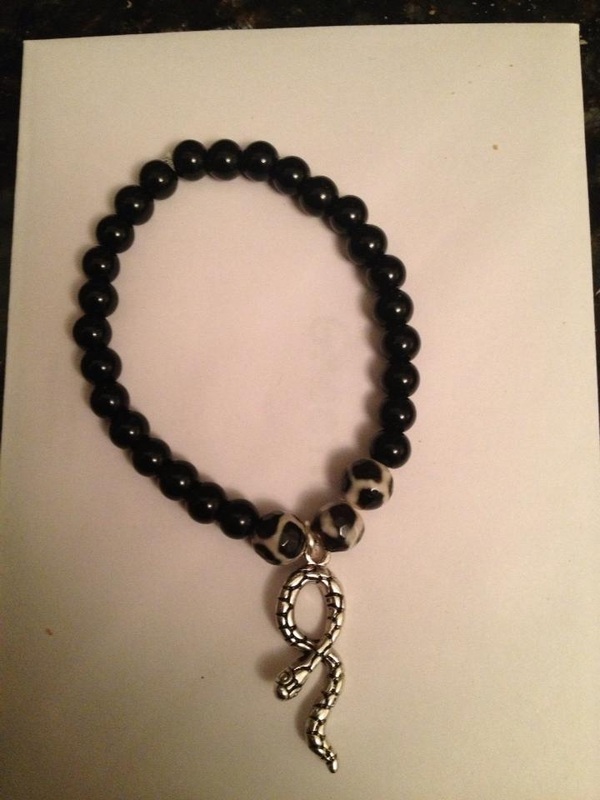 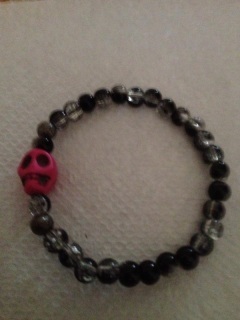 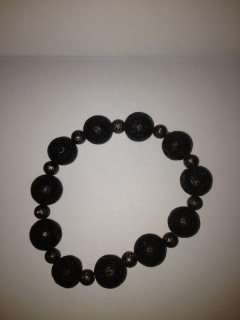 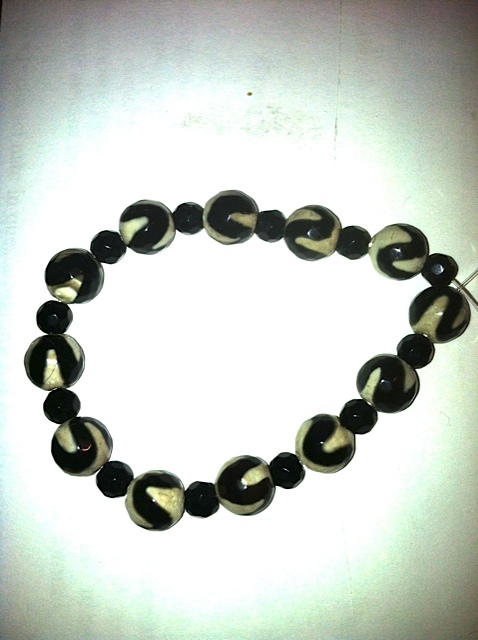 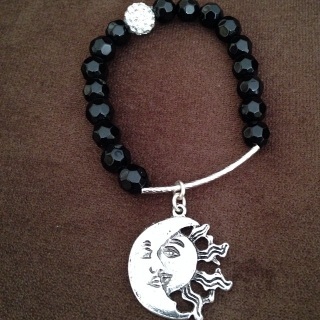 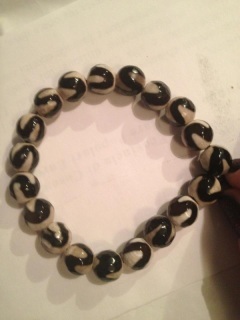 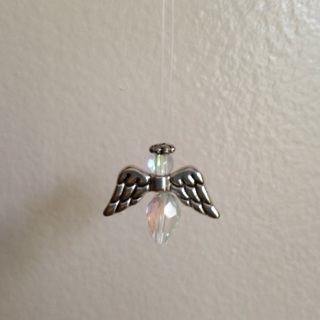 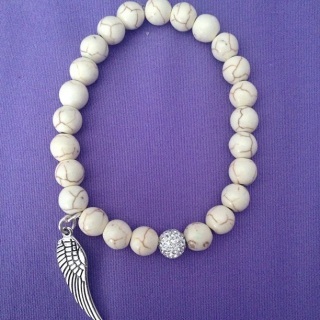 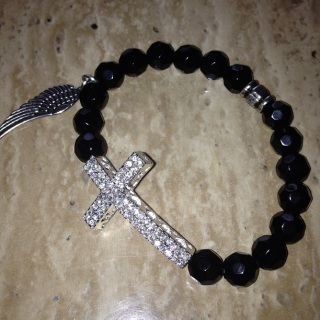 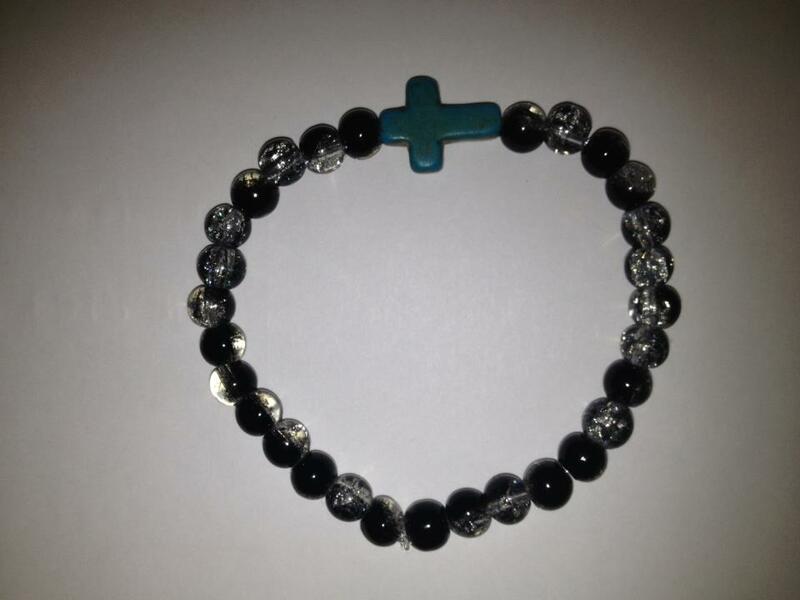 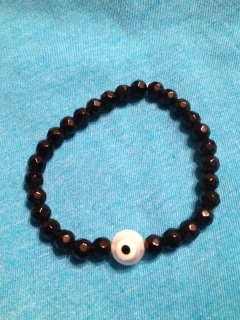 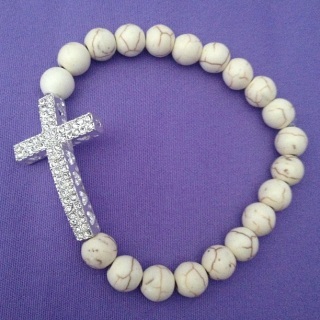 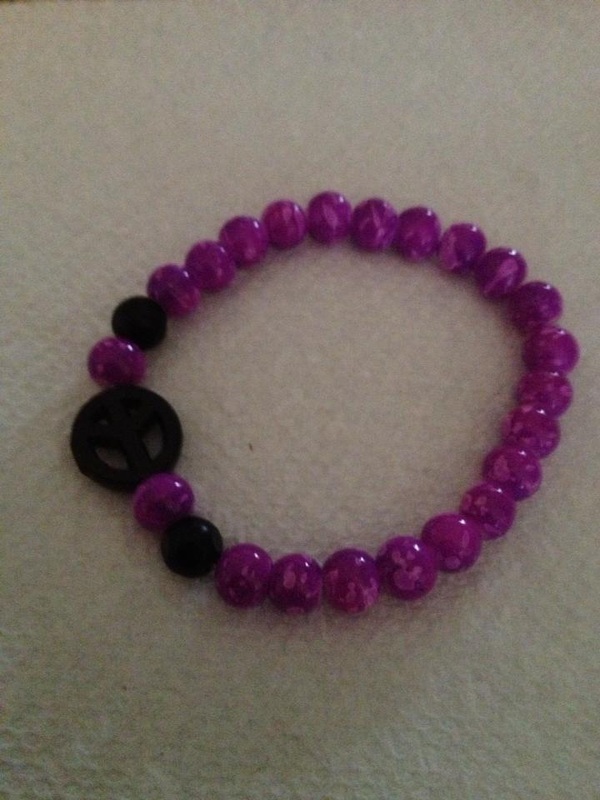 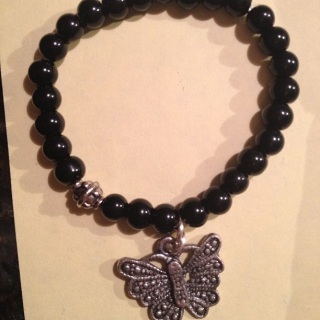 Comes in white with black beads on side. 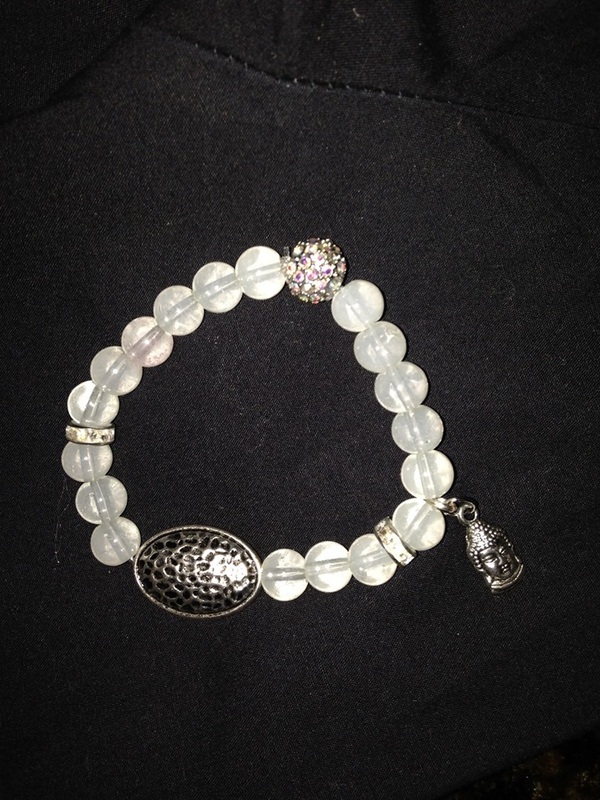 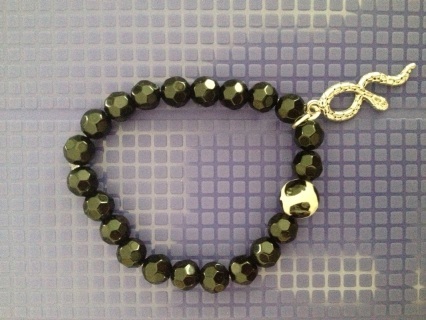 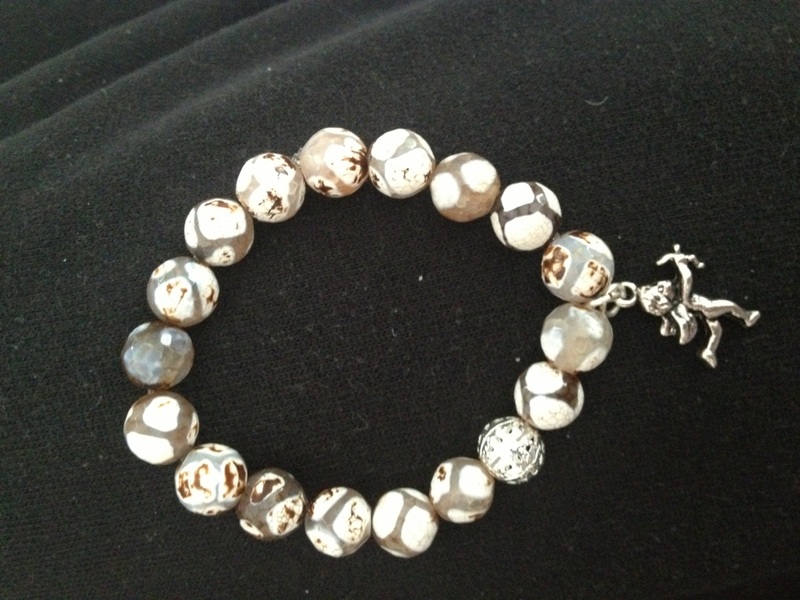 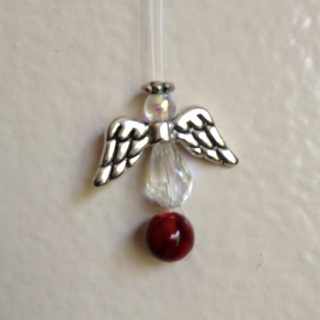 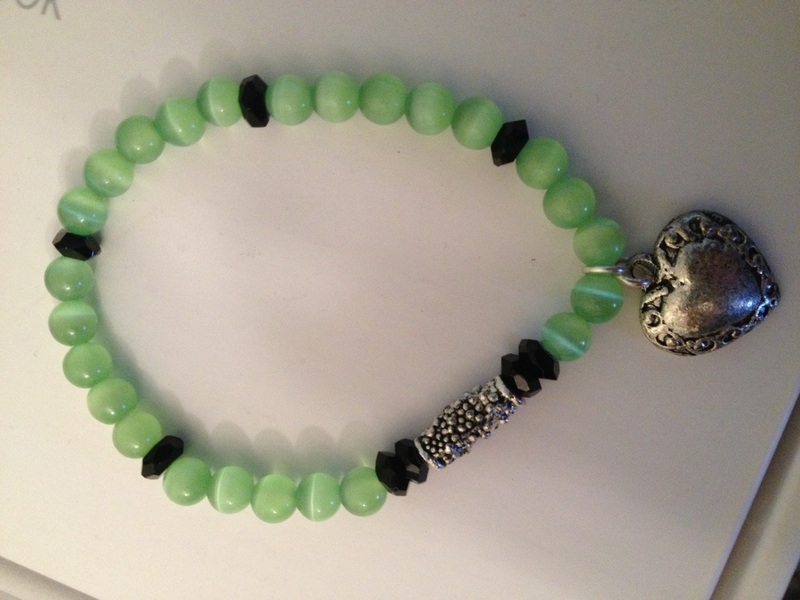 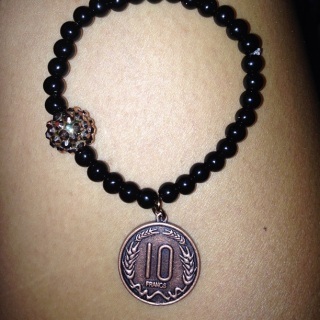 Comes with this lovely silver charm on beautiful elegant beads, one silver bead also attached. 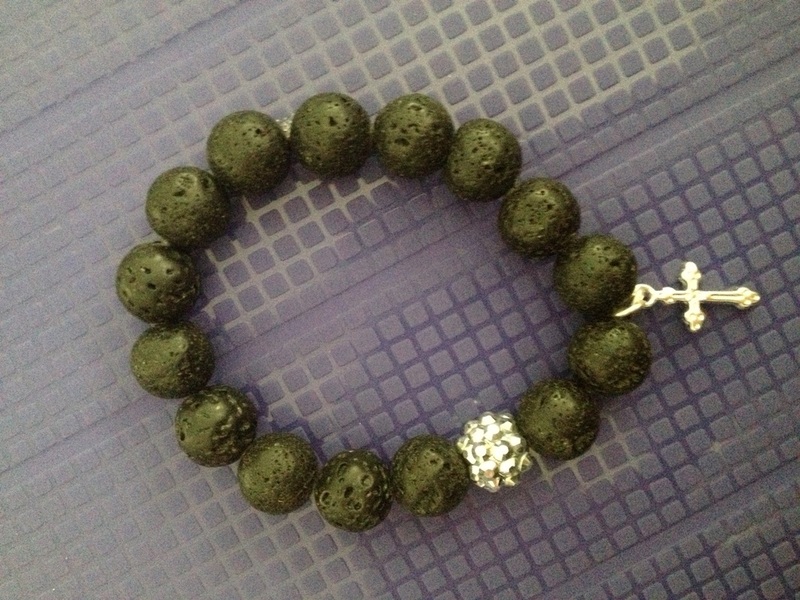 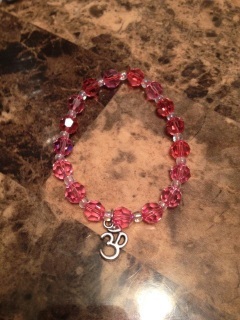 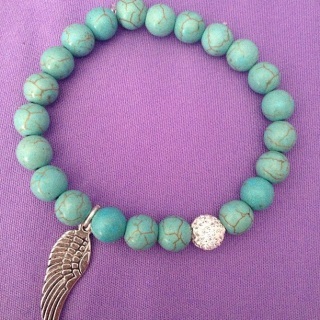 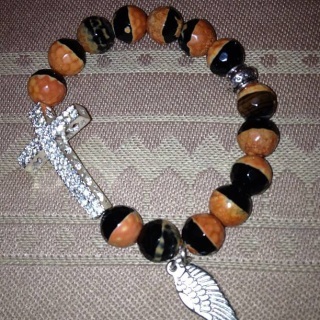 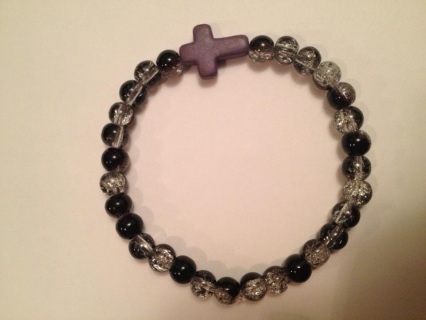 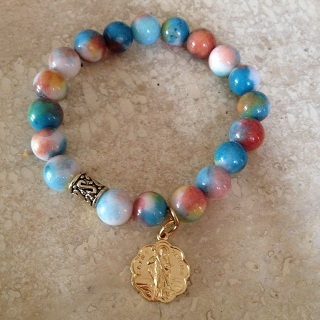 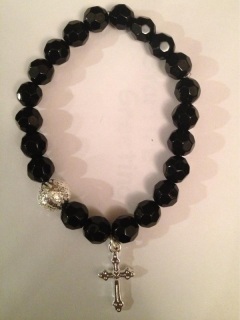 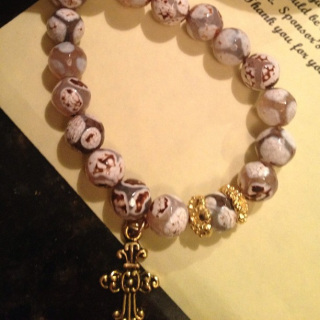 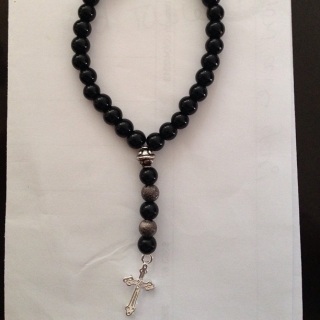 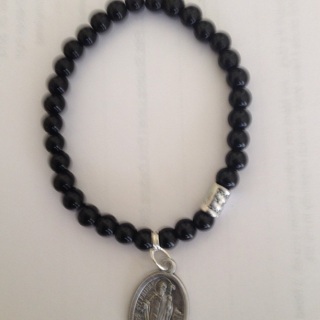 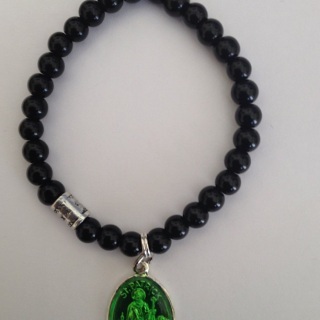 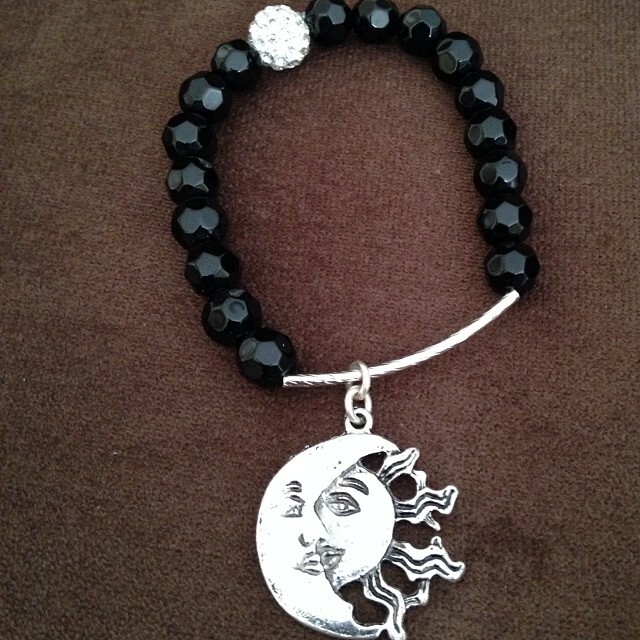 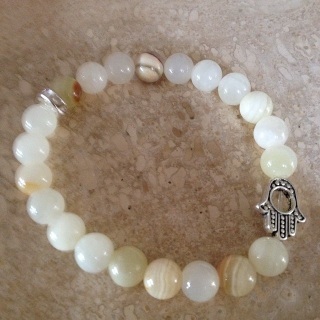 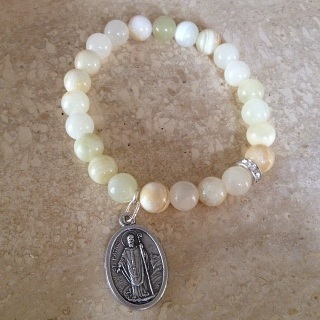 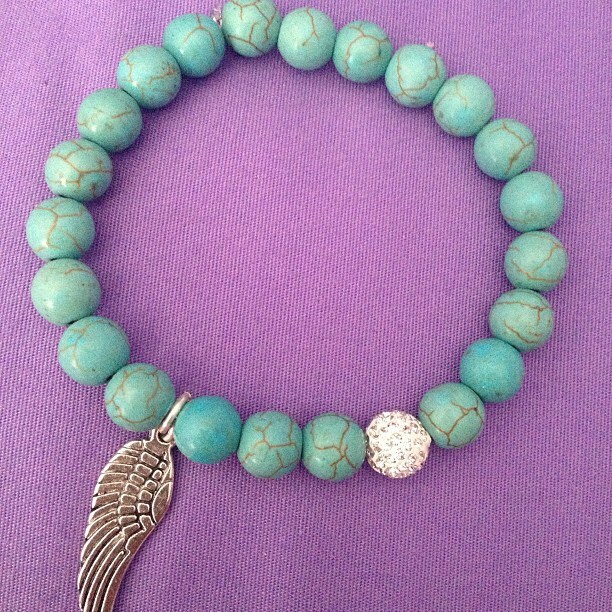 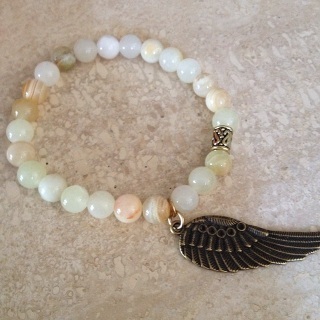 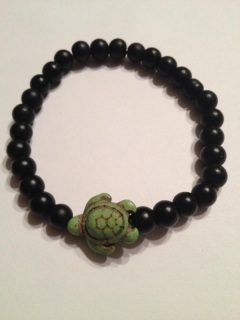 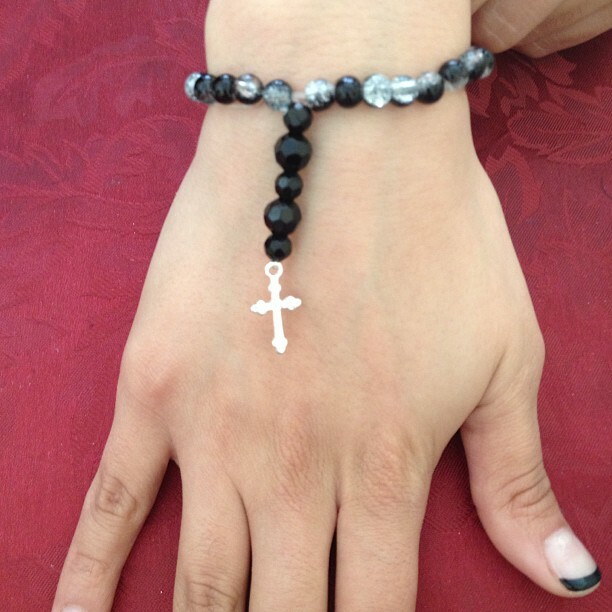 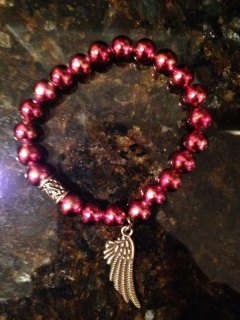 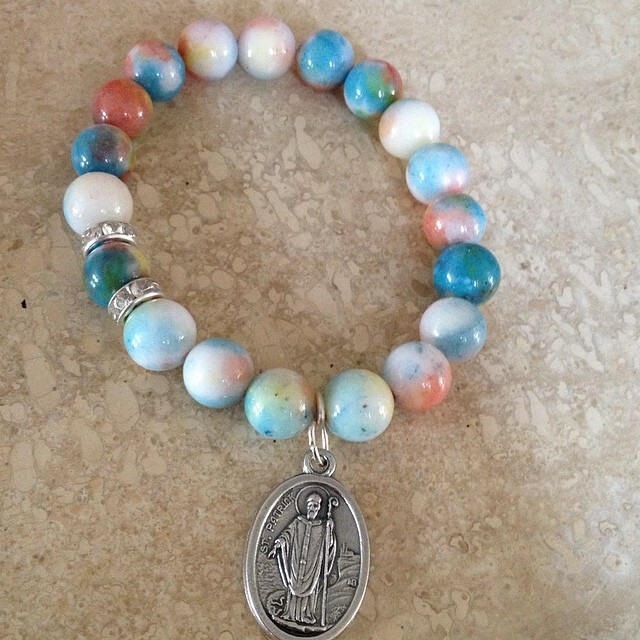 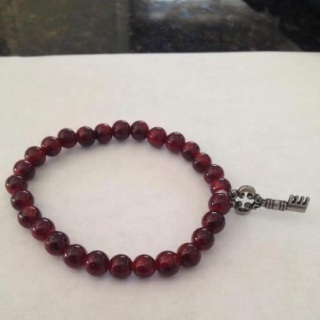 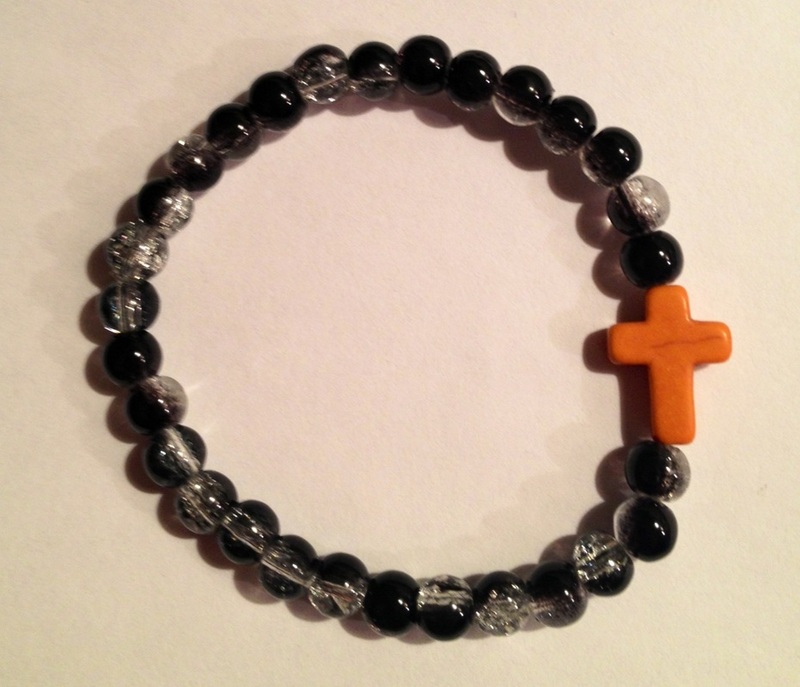 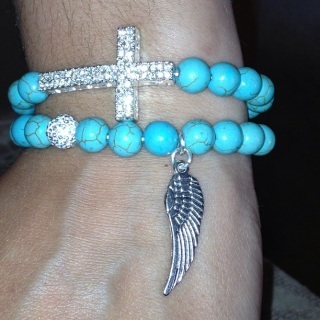 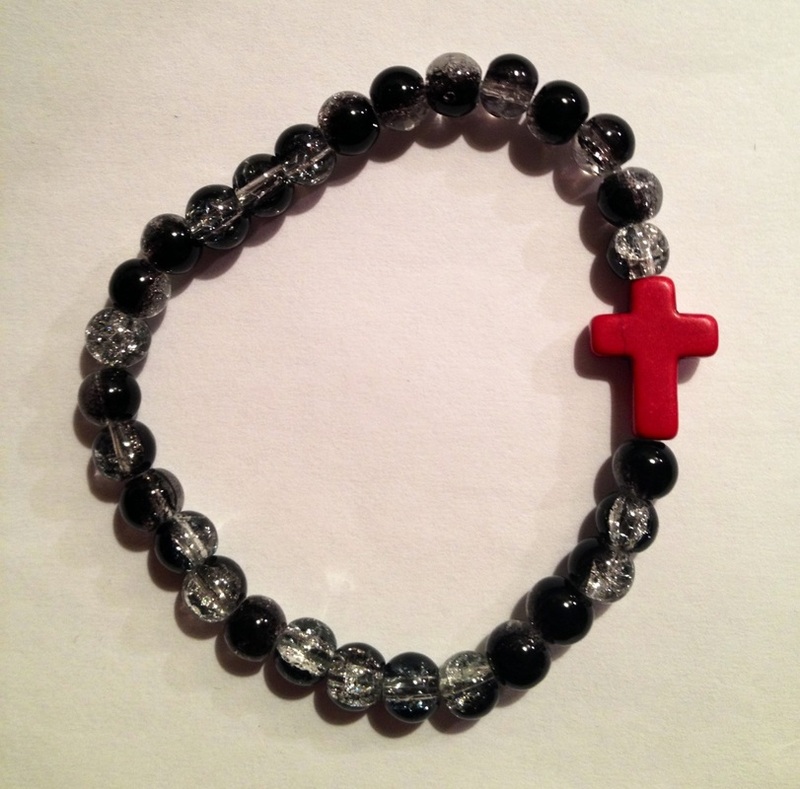 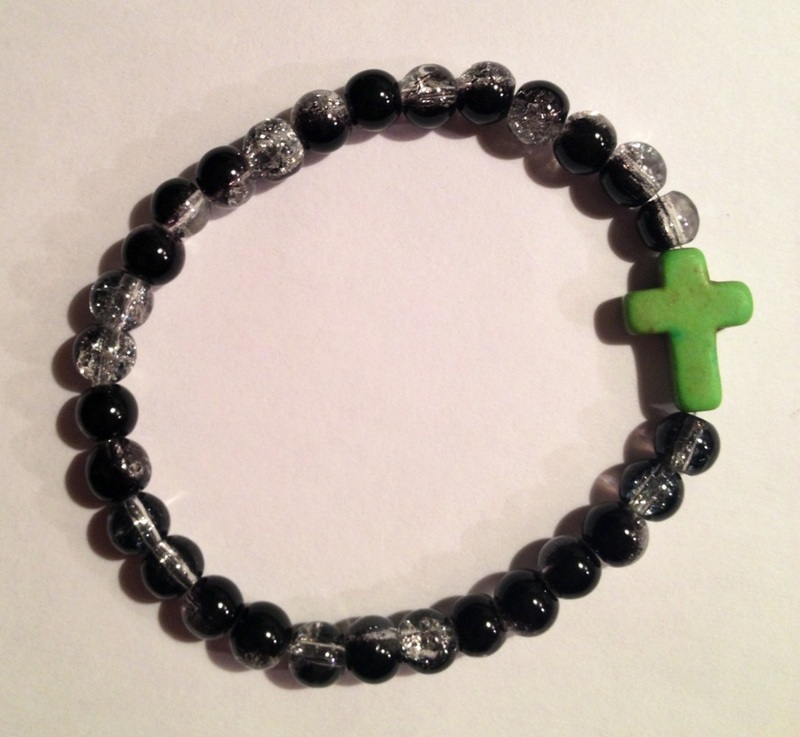 Wear this to feel free & beautiful while being spiritually protected. 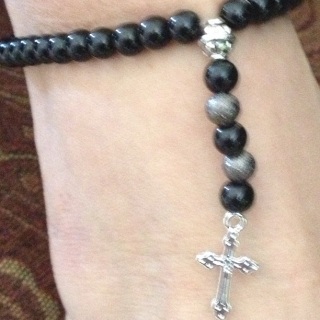 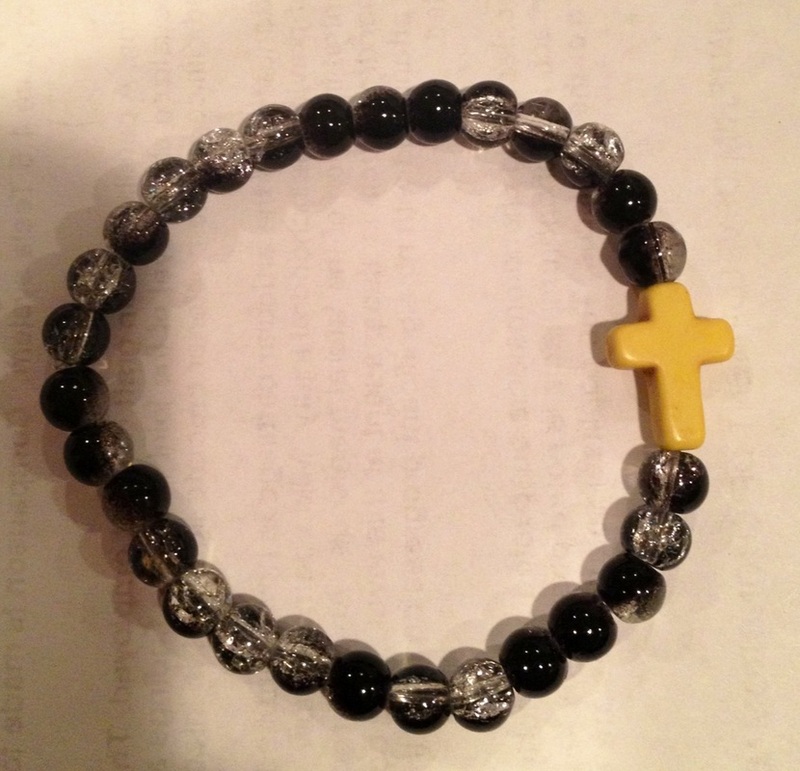 Handmade with a cross to protect comes blessed. 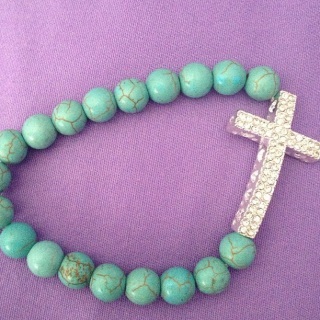 Comes blessed with Holy Water. 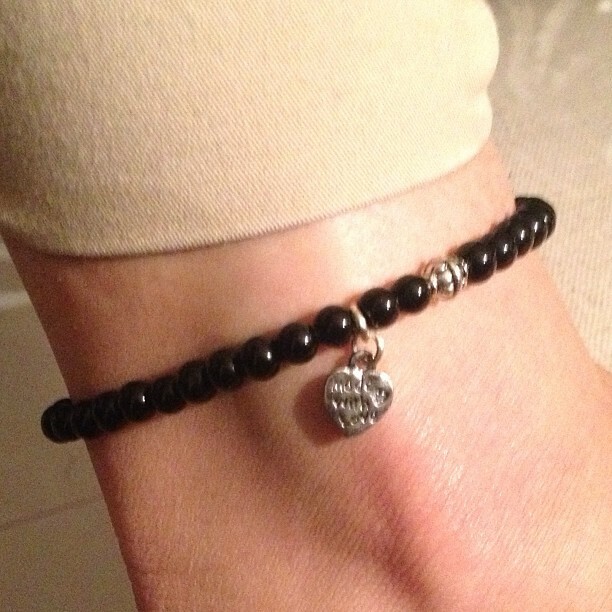 Looks great on the ankle in time for summer! 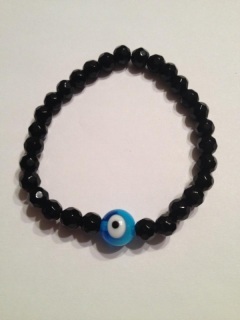 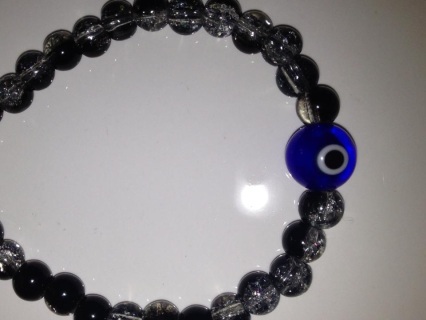 Beautiful eye protection solid black beeds with blue eye to protect comes blessed. Yellow: The color of the Solar Plexus chakra, also known as Manipura. This chakra is located in the stomach area and is linked to organs &muscular system in that area. 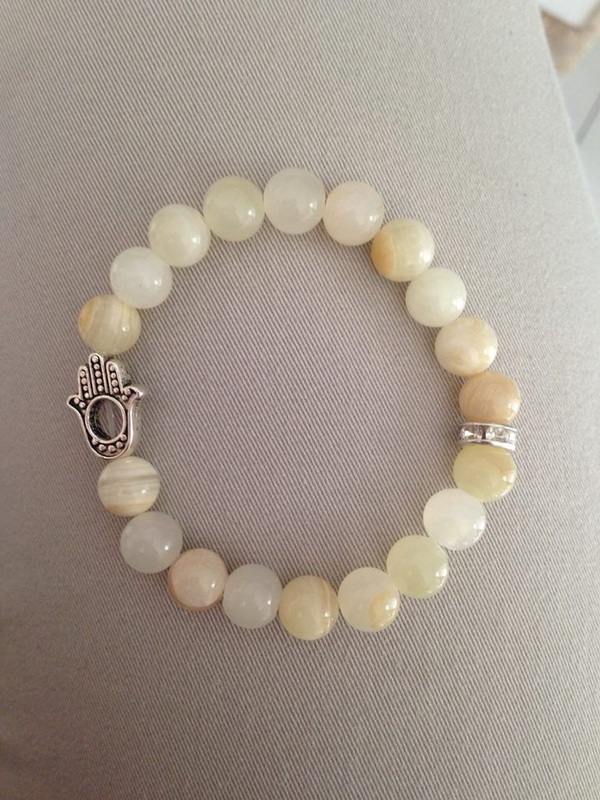 The Solar Plexus chakra is representative of vitality and will. 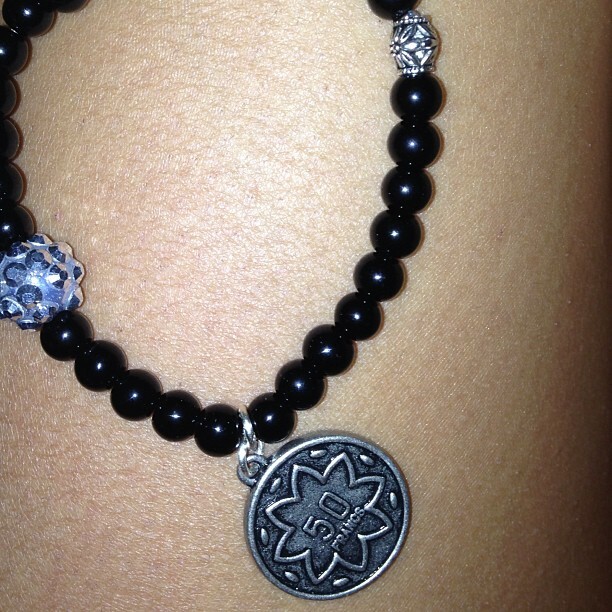 When this chakra is open, it acts to empower a person and help them find their personal strength. 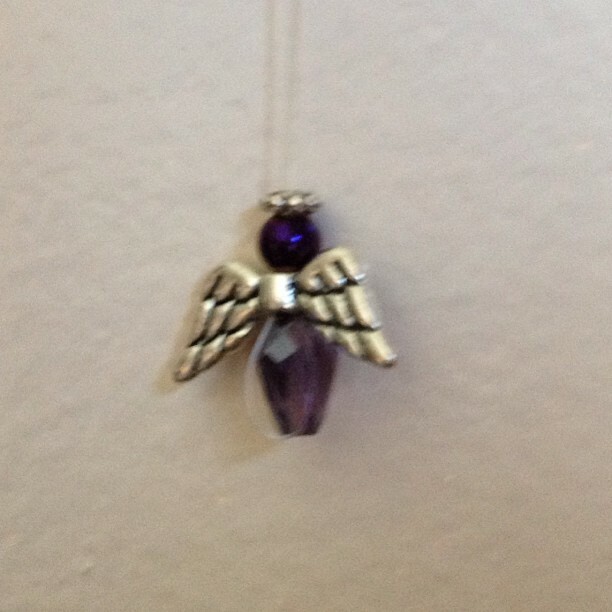 It will help turn dreams and goals into reality. Gemstones that will aid the Solar Plexus chakra include amber, topaz, citrine, yellow calcite, yellow jasper.